The first thing I do when altering any project is to start gathering my supplies together and see how everything looks together. I began with the clear plastic lid box, added the handmade paper which inspired me to dig out the Sugar Maple leaves that I had collected last year and an acorn which I have been collecting this year along my lake walks at the Carl Sandburg Home. I use an old Cricut mat to spray my liquid adhesive by Helmar onto the sheer handmade paper. The over spray goes onto the mat and because I've used it this way many times, the mat remains just sticky enough to hold my small papers so they don't fly away when the impact of the spray hits it. As you can see, the liquid spray does not show up and will hold my piece of thin paper to the inside of the box very nicely. I just lay the paper in and press down gently. Here is the top of the box, as you can see I don't do the sides of the cover. Next, I collage the bottom ½ of the box using Helmars Decoupage and Craft paste. I use the applicator to give it a thin coating since I don't need a heavy coat with this mulberry paper. Here are both the top and the bottom of the box completed. Make sure to let the bottom ½ dry completely before sliding the top over it so you don't have to worry about scrunching up the paper. The fun part is always the embellishing part and I used my Helmar's 450 to secure the leaves, burlap and acorn together for a nice tight hold. The ribbons that hold my boxes together are "latched" together with Velcro so that the recipient just lifts off the ribbon and does not actually unwrap anything. The tiny burlap flower covers the velcro. 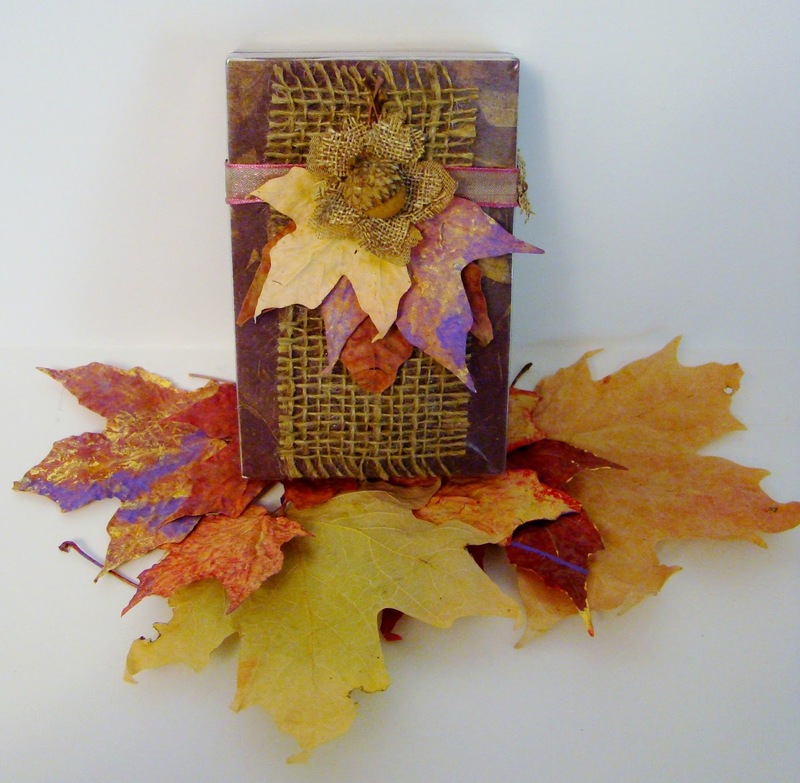 Here is my finished Fall Gift Box ready to be placed in the Art MoB for sale. I would love to get a present that is wrapped this way, wouldn't you? I love the texture and feel of handmade paper and am hoping to make the Design Team for Arnold Grummers. As a paper crafter I am always looking for ways to create interesting and unique designs, what better way than to make your own paper? 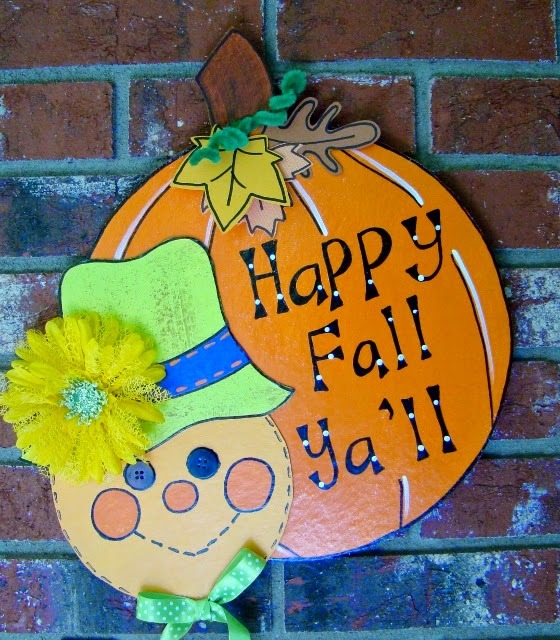 Over on Frosted Designs, we are having a Fall Theme challenge!! I just love the colors of fall! Oh Fairy Dust...what a mess!! I need a Fairy to sprinkle some cleaning dust on my craft desk!! Just look at all this mess it took to create one tiny mini book!! The room isn't this dark, actually, I just didn't use my flash when I took the picture. But, oh, what a mess!!! If you want to see the close-ups I did a slide show presentation over on the Frosted Deigns blog. Hope you "fly" over there and leave some fairy love for me! I'm currently working on a little mushroom mini album that's titled "Fairy Advice" and this is one of the chipboard pages so far. Please pop on over and feel free to leave me some love! Welcome to the Mixing it Up loves Cottonwood Arts blog hop! This is a closed blog hop just for the members of the Mixing it Up Every Day Face Book group so that we can get to know each other better. Having said that, if you are not in our group, please feel free to leave a comment anyway and come join us over on Face Book. Our group is called Mixing it Up Everyday. We would love to get to know you better too. 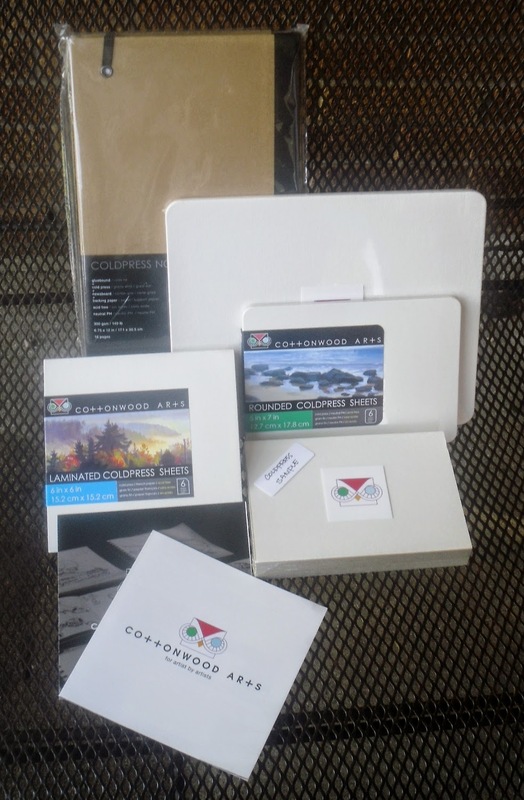 This is the prize that Cottonwood Arts very generously donated to our group. Let's be artists supporting other artists! Hop along in any order and be patient if someone doesn't have their post ready, you have all week end to visit everyone. I hope that you join their blogs and have fun reading what they wrote. 1. Am I a journal hoarder? The journals that I do own are put to a specific use and I do use them. I try very hard not to hoard anything and find that I actually enjoy using my stuff daily. I have 6 journals that I keep. 1. My Dylusions journal was my first one and the one that is closest to being completed. It's a modge podge of everything because I wasn't very organized and I used it for everything. 2. My second journal is my graph journal that I use for lettering. It's the cheapest and thinnest of all my journals. 3. My next journal is a Strathmore Mixed Media journal that I created to keep my bible verses to memorize and illustrate. It's one that I feel the guiltiest about not working in it more. 4. My next journal is my plein air water colors ( also a Strathmore ) which I use to create my drawings that I use when I write my short stories for Rapid River Arts and Culture Magazine. Writing short stories just kinda happened by accident but I enjoy it. 5. My next ( Strathmore ) journal is relatively new, it's my diet journal and if you visit My Plexus Journey blog you can see what I have been drawing and how I use it. Also you can follow me by e-mail and keep up with my diet journey there. If you really want to get to know me, stop over there and start back on the first post I wrote, I bear my soul openly and freely so that other people who are trying to diet know they aren't alone. 6. My newest journal and the most unique is the canvas journal from Cottonwood Arts. I didn't even know they made canvas journals but I am really enjoying it and using it for the prompts from Wet Canvas. I love how sturdy this journal is. This is my first painting in it. We are to paint a still life with special meaning to us. And, as my friends know, I am all about 2 things currently in my life. Painting and trying to get a healthy body back . yep, those are my labels. That's suppose to be a brownie sitting on top of my Dylusions journal, but I need more practice painting food. Most likely if I am online I am playing Candy Crush, Criminal Case and Puzzly Words. I think playing strategy games helps to keep your mind alert. I have the cheapest phone with the cheapest plan I can find. All my real time friends know not to call me but will send me messages via FB or e-mail. My editor at the magazine skypes me. I also do not have cable TV and only watch movies and shows that I get through Net Flix. I find that watching TV makes me unproductive and keeps me from painting. I love SciFi, comedies and Action/Adventure movies. I love to read books in bed when I an winding down at night. My favorite books are series because I get wrapped up in a character and hate to let them go. This is just part of a journal page that I created for my Helmar blog post today but this part is a subject near and dear to my heart. This truly is the secret to being happy. Sometimes I forget this, but I remind myself that things always could be worse and to be thankful for what I do have! Hope you skip on over to the Helmar blog and leave me some loving! I hear people talk about their mojo being missing, that they aren't inspired, nothing is coming to them.....well, I never feel stuck in a rut because I do challenges. Sometimes they stump me, but figuring out how to do them is what keeps me energized and creative. You have 3 choices to inspire you and usually I am drawn to the color challenges, but in this case I also liked the card sketch challenge. So I combined them together to create a card that normally I wouldn't even have thought of! Having said that, let me point out the difficulty I faced in the color choice. They weren't colors I would normally pair up together but I wasn't going to let that stop me! See it as a fun experiment to do something different. I also like to use my stamps in different ways and I think the little girl from the Grandma's Needlepoint stamp set works really well in a Halloween card! Thinking outside the box can be a lot of fun! I have an upcoming show scheduled at the Art MoB Studios and Gallery on Dec. 5th ( time is yet to be scheduled for the opening ). They loved my "Wildlife Silhouette series" and I'm so excited that they do! All the canvases are painted with ink backgrounds with acrylic silhouettes. The following 3 silhouettes are painted with the same ink background and DecoArts Black Tie Multi-Surface Satin Acrylic paint, with the only difference in adding DecoArts Interference from their Media Fluid Acrylics line. I wish I could take better pictures to get the true effect because if you look at the paintings from head on you cannot see the Interference paint, but one the light hits it from an angle, the paint really pops. It's quite a cool effect. It also shows up better on dark colors, hence "Flight" shows the effect better and the other 2 are more subtle, but still lovely. 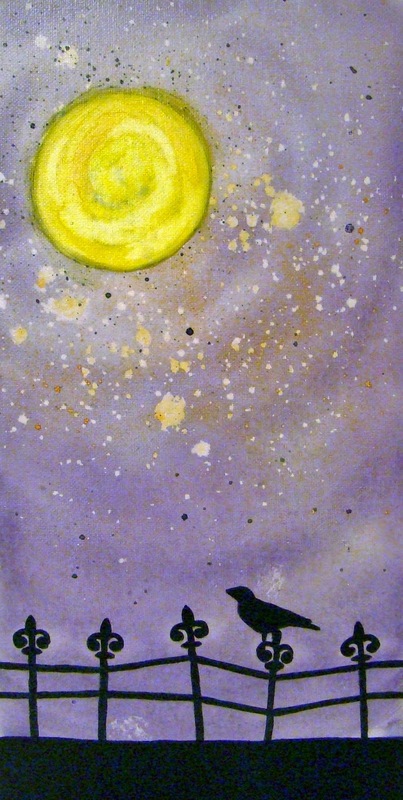 Here are more from the Wildlife Silhouette series, but these are without the DecoArt Interference paints. Now I just need to come up with a name for the show, not sure if "Wildlife Silhouettes" is enough? I feel like it needs a little oomph. I have enjoyed naming each piece though as they have all "spoken" to me as I created them. And framing, this series will all be framed in black. Here's a cute and easy fall decor project. I love my Gelli plate! I think collaging in my art journal has now crossed over into my card making!! I took 2 different stickers and put them together for this funky little Halloweenie image! Not sure how I would feel if I found him walking around in my pumpkin patch, but I love him on my card! To know that Pablo Picasso actually lived during my lifetime makes me smile, even if he lived very far away from me. Picasso was baptised Pablo Diego José Francisco de Paula Juan Nepomuceno María de los Remedios Cipriano de la Santísima Trinidad Martyr Patricio Clito, a series of names honouring various saints and relatives. How would you have liked to have grown up with that name? "What do you plan to do with your one wild and precious life"
a quote from Mary Oliver. I hope you plan on stopping over and checking this page out, I think it might be one of the prettiest pages I have ever done. You never know for the most part if you have ever inspired someone. I wouldn't have known about this, if my friend Donna hadn't run across this blog, Quilling,Art and Expression by Antonella, and brought it to my attention. I hope you go over and check out her post and leave her some love. I have to say I am always surprised that Halloween art sells so well, here are my previous pieces. I need to make some more! This is a contribution to Paper, Paint, Pencils & Pens!